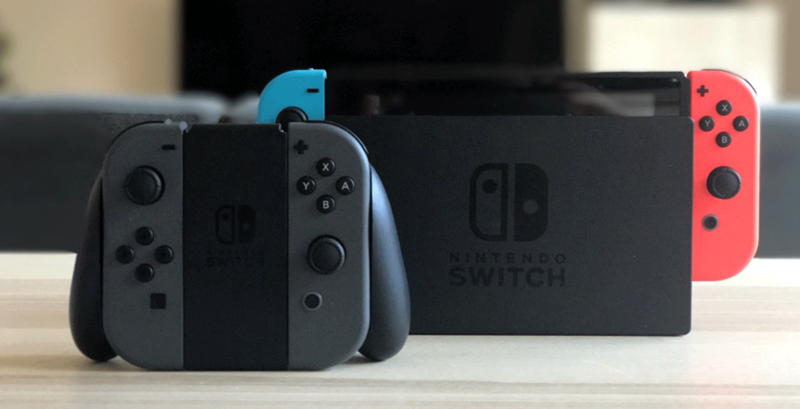 Nintendo has released a new update for the Nintendo Switch‘s firmware. The console’s firmware is now at version 7.0.0. What may surprise you is that this update didn’t add any new features. However, there are 6 new New Super Mario Bros. U Deluxe icons for users, as well as some added language support. The patch notes can be seen down below. More Mario icons.. how about some Smash Bros., Fire Emblem, or Bayonetta icons? Or maybe some 3rd party ones? Personally, I’d like it if every game you bought came with an icon or two. I’d definitely go for a 20XX or A Robot Named Fight emblems. That’s a great idea. 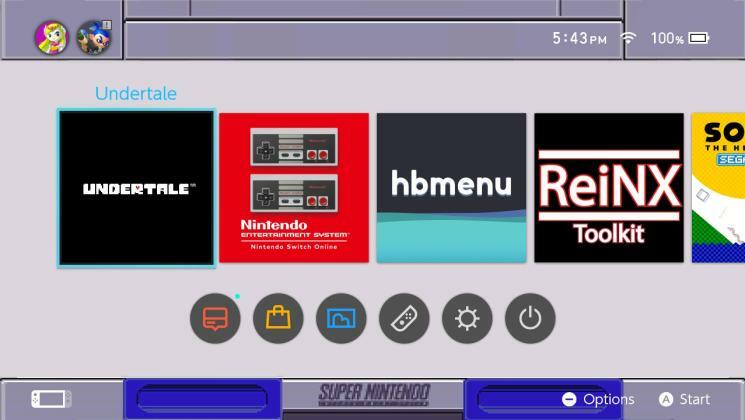 I also hope that this update comes with custom themes. I wonder what else the Version 7.0.0 Nintendo Switch Firmware will add or remove. I just wish that it has something to do also with giving their competitive online multiplayer games an improved online, with dedicated servers. Yeah i agree dude. and some pokemon icons as well. Our strategy must now change. The weapon… it is ready. I believe the time has come to use it. We shall destroy Xbots that supports the Resistance…the Republic. Without their friends to protect them, the Resistance will be vulnerable, and we will stop them before they reach Microsoft. I thought it would be a big update. Apparently Nintendo thinks icons are just that. Nintendo is pretty boring company after iwata, fanboys are in denial. Look at Apple after Steve Jobs. Only matter of time before people finally stop being arrogant and admit they could have better time instead of dreaming about what if. It ain’t gonna happen folks. Only naive children and man children think so, reality proves otherwise. Look in the past 2 see the future. Don’t let me tell you, I told you so, I told you so. Not sure what anyone was expecting. Nintendo didn’t announce anything. You always have excuses for your abusive relationship with Nintendo. Either it’s yet to be revealed, or language support is a big deal. I hope they fix the battery software issue, the last time they fu**** it up! Somehow I only see that happening as a “special offer”. Lol yeah, where’s it at? Perhaps waiting to be unleashed under the hood? Still waiting for Norwegian UI. Both PS4 and Xbox One have it, and Nintendo is supposed to be the childfriendly of those 3. Robbing norwegian children of a perfect opportunity to get comfortable with English isn’t child friendly at all. That said they should add keyboard support for nordic languages. Like you really need the system UI for learning English. It’s more than enough to learn from the games themselves, and if absolutely every other system UI is in Norwegian (Windows, Android, PS4 etc) the kids will have learned those few English words by the time they actually need them. It’s more important they understand what they’re pressing so they don’t do stuff like accidentally wipe the system or something. can we at least get Pokemon Icon and Smash bros ones too. Xenoblade icons too… been playing Shulk in Smash so I’d like to represent ;). Besides Xenoblade characters are pretty cool overall. Yeah same here. i been playing as shulk in Smash for a few time and then i just keep playing as the new sun and moon pokemon. Xenoblade 2 char aren’t even playable in Smash. Instead this Ultimate game seems like not everyone is here. Seriously disappointed, and I didn’t even have any expectations. Dont worry folks, Nate was just a hallucination all along. Ok now totally disappointed cuz…. no Bowsette icon 😝. I kid..
Maybe they should put in some Metriod Icons, because at least you would get something Metriod on you 300 dollars Nvidia 2015 chipset plastic box. Feel sorry for everyone who invested in hardware for a wallpaper on E3. Nintendo won E3 with Metriod, remember ? Ain’t gonna fool me again with your logo’s and fools hyping up. Weird that I had to manually tell it to update. Does the Switch not do automatic updates? This is why people hack your consoles Nintendo, because they do what you don’t! Come on… Is it really that hard for a company with such experience to achieve something as simple as that??? They’re burning through version numbers pretty fast.